In our house there is a detached house with large living room with fireplace, kitchen, and three bedrooms and bathroom with tub and shower and two toilets. The house is surrounded by a large garden with swings and sandbox for the kids. Behind the house there is a cozy terrace with great Marquise. Garden furniture and barbecue are available. The cottage is fully pet securely fenced and therefore very suitable for dog lovers. Die Beschreibung des Ferienhauses ist vollumfänglich und wir konnten uns zusammen mit den Bildern einen sehr guten Eindruck verschaffen. Bereits im Vorfeld der Reise waren wir durch die Korrespondenz mit der Vermieterin angenehm vorbereitet. Als wir dann vor Ort eintrafen waren wir von der Exklusivität und des hervorragenden Zustands des Hauses und des sehr großen Grundstücks in absolut ruhiger Lage überwältigt! 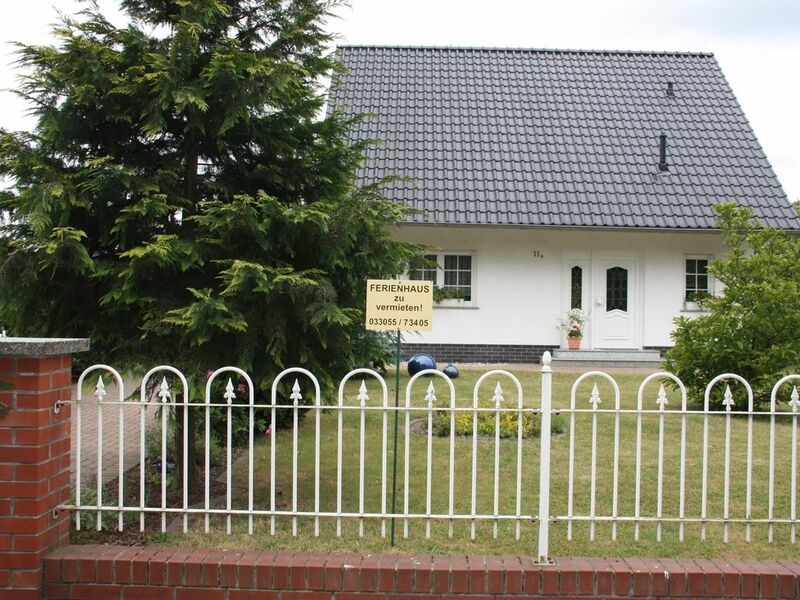 Das Ferienhaus ist absolut weiter zu empfehlen. The house is located amidst the beautiful Rhinluches in the small village Wall surrounded by meadows, fields and lakes. Especially nature lovers will come by the rich flora and fauna at their expense. Wall is in the catchment area of ​​a huge collection of cranes. The natural spectacle of the crane train can be observed particularly in autumn and spring. Also cultural activities may be exercised within a short distance to Neuruppin, Rheinsberg, Potsdam and Berlin in comprehensive form. But even in the immediate vicinity is the remarkable town Kremmen with its historic Scheunenviertel, where restaurants, antique shops and a small theater waiting for you.